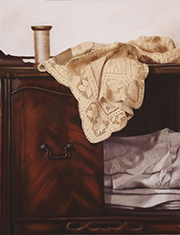 "I am a passionate realist, working with a palette of soft pastels, sanded paper, and a kneaded eraser. My early years of working in the abstract helped me refine my handling of the medium and sharpen my understanding of shape and form as it manifests in the natural world. I feel obligated as an artist to reflect the world I live in, to look keenly at my environment, and to present it to the viewer in an engaging way." 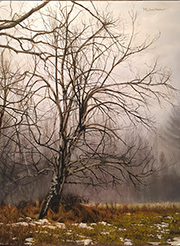 Primarily a pastelist, Marlene's award-winning paintings have been exhibited throughout the United States. Much of her work reflects visits to protected lands, working in collaboration with preservation organizations in the Hudson Valley. 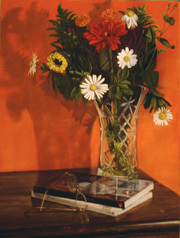 Wiedenbaum was a featured artist in the December ‘09 issue of American Artist and selected for their 2011 calendar. 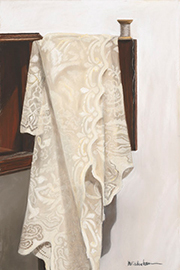 Her work is featured in "Pastel Application Techniques" a text by Jason Chang, and she was interviewed by The Artists Magazine (June 2013). 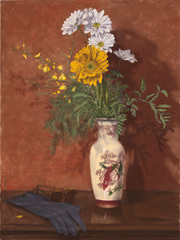 A Signature Member of the Pastel Society of America, and an Elected Member of Audubon Artists. Marlene is also an Active Member of such prestigious arts organizations as the Woodstock Artists Association & Museum, NAPPAP, NYPAP, the Degas Pastel Society, and LongReachArts.